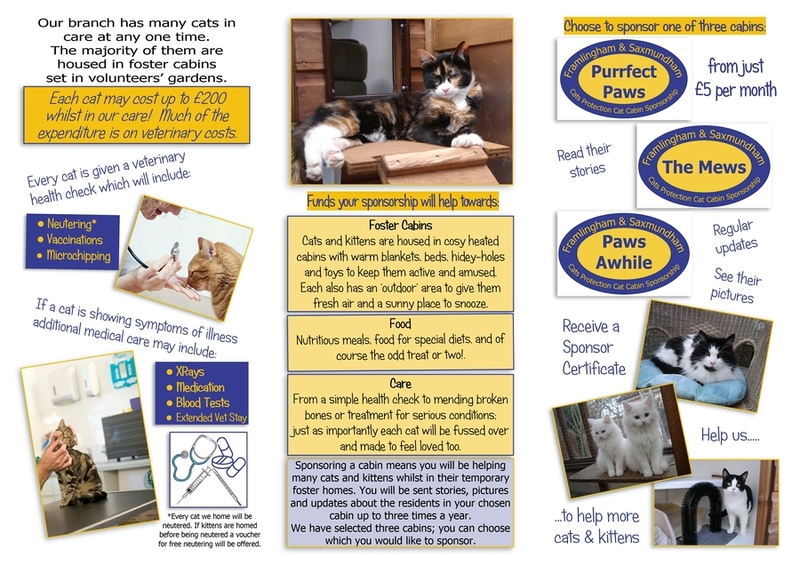 To help us to help more cats and kittens we are asking you to consider sponsoring one of our cat cabins, rather than one cat. From just £5 per month, you will receive a certificate confirming sponsorship of your chosen cabin and updates of the residents in the cabin throughout the year. See below for more details. 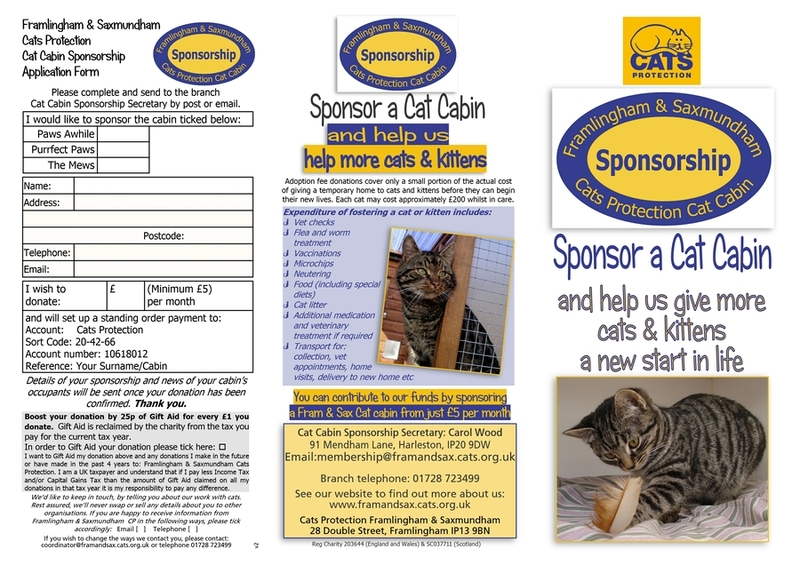 If you would like to help us to help more cats and kittens in our care, please click here to download a copy of Cat Cabin Sponsorship Application Form. Please call us if you need further information.